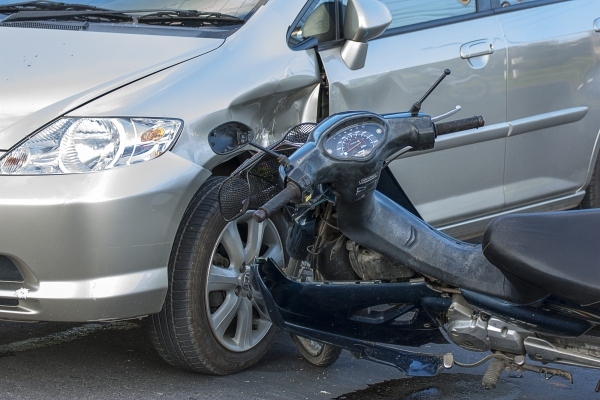 Motorcycle accidents can result in extremely serious and life-threatening injuries. Negligent drivers are dangerous to everyone on the roads, but particularly hazardous to individuals who are operating motorcycles. In a large majority of motorcycle accidents involving another vehicle, the driver of the other vehicle has violated the motorcycle rider’s right-of-way and caused the accident. With the lack of protection surrounding the motorcyclist, victims often experience catastrophic injuries including severe head injuries, paralysis, or death. Motorcyclists are many times more likely to die in a crash than someone riding in a passenger car. The victims of motorcycle accidents and their families face substantial medical bills, lost wages, rehabilitation, and other life-changing damages. We have helped many individuals and families involved in motorcycle accidents recover compensation and deal with life-changing injuries and needs. These serious accidents require committed attorneys to obtain fair compensation for victims of bike accidents. If you have been involved in a motorcycle accident and sustained serious injuries, you should consult our attorneys to assist you in navigating the relevant laws relating to your accident and help you obtain the compensation you deserve. If you have been involved in a bike accident and sustained serious bodily injuries, contact Houston Motorcycle Accident Lawyer, Bat Tucker today at 713-771-5453 for a FREE CONSULTATION to discuss your options with him.